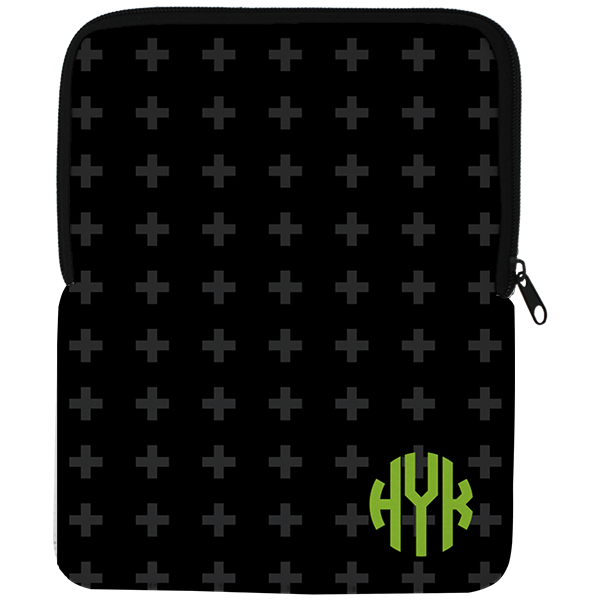 Show off your iPad Air with the trendy Swiss Cross iPad Air Sleeve. Muted gray and black look funky but equally subdued. Add your monogram in chartreuse green too! Show off your iPad Air with the trendy Swiss Cross iPad Air Sleeve. Muted gray and black look funky but equally subdued. Add your monogram in chartreuse green too! Our notebook measures approximately 7.5"x9.75" so it fits your iPad air securely. Notebook are made in the USA. A monogram adds a touch of personalization. Order today!